Online privacy used to be of great importance, but it just doesn’t exist anymore as almost every one of your online activities is being monitored. The government usually gets the short end of the stick in this argument and is blamed for spying on people, but they aren’t alone. Your ISP keeps track of each and everything you do on the web. Ad agencies see what you are searching for and show you advertisements in accordance. The social networking platforms log all of your activities as well. The bottom line is, staying anonymous is almost impossible these days. A lot of people have started to live with this fact and have stopped caring about their privacy. However, there are still a ton of individuals who crave privacy, and for those users, there is only one solution, and it’s called VPNs. They not only keep your online activities private, but they also do it for free. There are an enormous number of VPNs out there, but the best free tools that will hide you from the prying eyes have been outlined below. The reason FalcoVPN is at the top of our list is that it offers almost all the features that a paid app does, but for free. Just download it on your device, enable it and you will be switched to a different server entirely, hiding your IP address in the process. Once your IP is hidden, there is no way for any entity to log your activity. Your internet service provider would still know that you are using their services as packets are continuously being sent, but they will not see any action. An IP is easy enough to track, but once a server is switched and your activity is done through an entirely new IP that’s located on the other end of the world, it becomes near-impossible to track. This is where FalcoVPN shines the brightest. It comes with multiple server locations and to stay hidden; you can make use of them all. Constantly switching them around would be in your best interest as it will be an impossible to pinpoint your activities. Another great thing about FalcoVPN is that it doesn’t log your activities, so you are allowed to go about your business without worrying about anyone invading your privacy. These days when privacy has become a joke, VPNs are the silver lining, and if you are amongst those people who want to stay hidden while surfing the web, then you should consider seeking help from FalcoVPN. Total VPN is another brilliant free tool that will help you stay safe from the prying eyes. Like FalcoVPN, it comes with different server locations that can be chosen at will. All of these servers have different IPs that change every day. So, if you visit one of the servers today, the IP you get will only last for 24 hours. Once you get connected to it the next day, the IP would be changed completely. This makes your activity hard to track for all entities. Ad agencies will try to take a look, but because no activity is being shown from your end, they won’t be able to collect any data whatsoever. It’s the same with other entities that try to keep tabs on regular users just because of their needs. 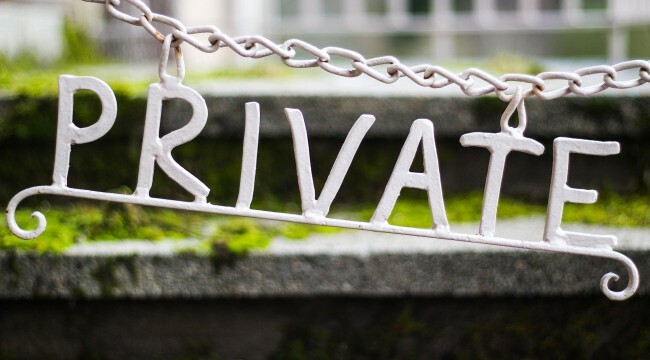 See Also: - How to Choose the Best VPN for Total Privacy? If you are not comfortable using FalcoVPN or feel that it lacks in some areas, then Total VPN is an excellent alternate. It offers almost the same features but has a slightly better user interface. Regarding functionality, however, they are the same. Browsec is downright brilliant. Unlike most VPNs, this can be integrated into the internet browsers as well. It is compatible with Google Chrome, Mozilla Firefox, Opera, and Safari. You can download it for all of these browsers as an extension and use it at will. All you have to do is enable Browsec through the extension bar on the browser, and your actions from there on out will take place on a different server, away from the prying eyes. Apart from the browsers, it is available on iOS devices, but sadly, no Android version is available at the moment. If you are an Android user, then you can try out the options above as they are pretty good in their right. If you are a computer/laptop user who wants to make use of a lightweight VPN that you can toggle on and off whenever you want, then Browsec is your best bet.